If you want to know anything – and I do mean anything – about Noah (opening this week), go to Peter Chattaway’s FilmChat blog. You’ll discover he has been on the trail for quite some time now. Not only has he explored the nooks and crannies of the film’s planning, production and execution, but he flew out to New York to interview director Darren Aronofsy (who was impressed when Peter began reciting the genealogy from Adam to Zerubbabel, which Peter vaguely recalls memorizing as a way of occupying himself during Willingdon Church sermons as a boy). For a short version of the interview, go to Christianity Today; for the four-part in-depth version, go to FilmChat. Here is an introduction to Peter’s 3,000-word ‘first impressions’ review. 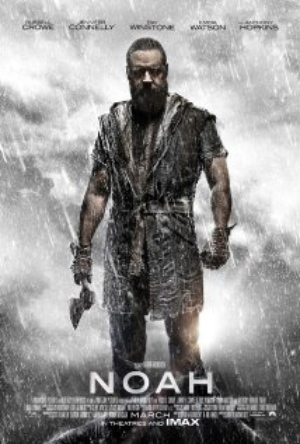 It’s tempting to say that Darren Aronofsky’s Noah has brought back the Bible epic. It’s certainly the first major live-action Bible movie to be produced by a Hollywood studio in decades. But the fascinating thing about this film is how utterly different it is from the Bible movies that came before it. Aronofsky has not revived the genre so much as he has utterly transformed it. Unlike most Bible films, which take place within decidedly historical contexts, Noah is based on the earliest, most ‘mythic’ chapters of Genesis, as well as some of the Jewish legends that have grown up around those chapters. Building on the ancient otherworldliness of these stories, Aronofsky has created a grounded yet somewhat fantastical environment that is, at times, strikingly reminiscent of the Lord of the Rings movies. But the core biblical themes – of temptation, wickedness and punishment – are still there, and Aronofsky infuses the genre with his own personal style, not least in his use of haunting dream sequences and in his focus on a morally ambiguous protagonist. Put it all together and you’ve got something quite unique. I was fortunate enough to see this film a few weeks ago, and if there’s one thing I can say right now, it’s that I need to see it a second time. I’ve read so much about the movie over the last two years – including an early draft of the script – that I really think I need to see it again so that I can settle into it and watch it as a movie in its own right, without being distracted by all the preconceptions that come from speculating endlessly about what the movie might be like. But here, for now, are my first impressions, grouped thematically. Peter is back in the saddle, so to speak, as a movie reviewer. We were fortunate to have him write for BC Christian News (which I published) for about 20 years, but he also wrote for such publications as Books & Culture, Christianity Today, Bible Review and The Vancouver Sun. 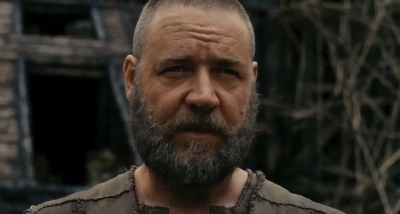 One of Peter’s upcoming articles will be a Christianity Today print essay on 2014 Bible movies.